Halo Top is at it again with creative new additions to its delicious menu of protein-infused ice cream treats at its Halo Top Scoop Shop locations. The brand has put together two Game Of Thrones and seemingly Easter themed options, that both look as mouthwatering as the rest of its lineup. 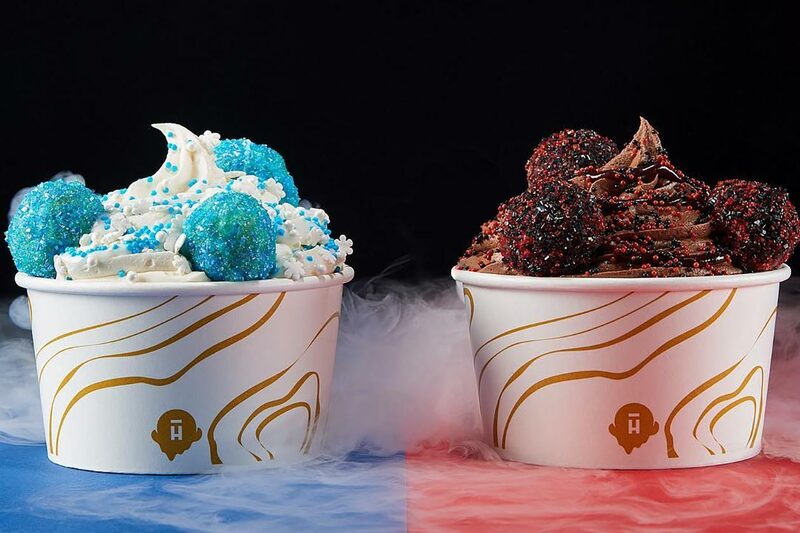 The new Halo Top Scoop Shop products are the Fire Dragon Egg and Ice Dragon Egg ice cream sundaes. The Fire Dragon Egg sundae appears to have chocolate soft serve and eggs plus red and black sprinkles, while the Ice Dragon Egg sundae has vanilla soft serve with blue sprinkles and eggs. Each Sunday at all three of the Halo Top Scoop Shop locations, shoppers will be given a chance to spin and win one of the Dragon Egg ice cream sundaes. We assume both of the delicious looking soft serve sundaes are also available for purchase outside of the contest and outside of Sunday.